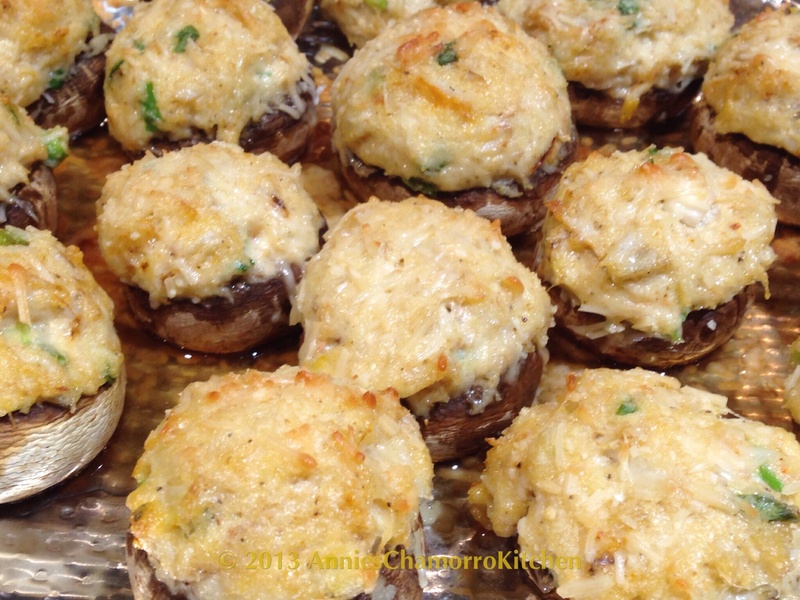 One our favorite appetizers when we eat out are crab-stuffed mushrooms. 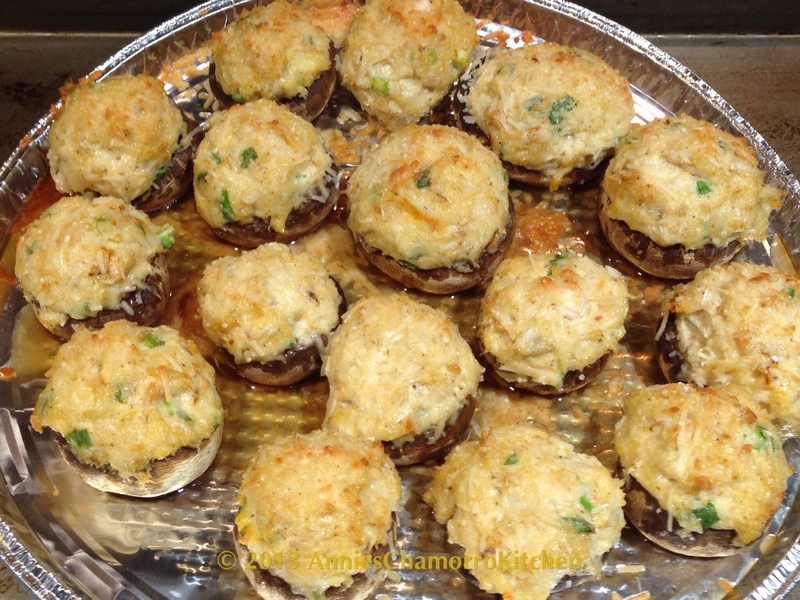 Tender mushrooms, sweet crab meat, and melted cheese are sure to make these tasty morsels a hit at your dinner table. With my easy recipe, you don’t have to wait until you eat out to enjoy them — now you can make these in your very own kitchen! 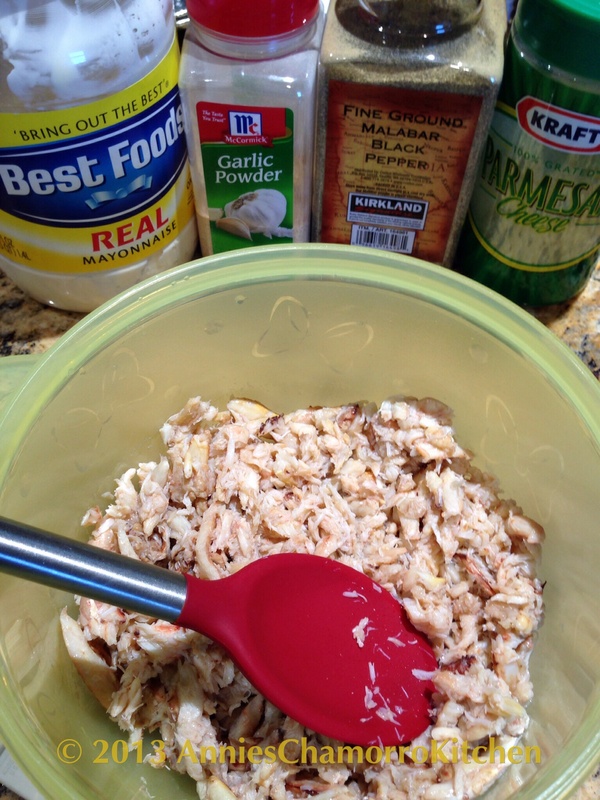 Don’t skimp on the crab meat and use that stringy imitation stuff. 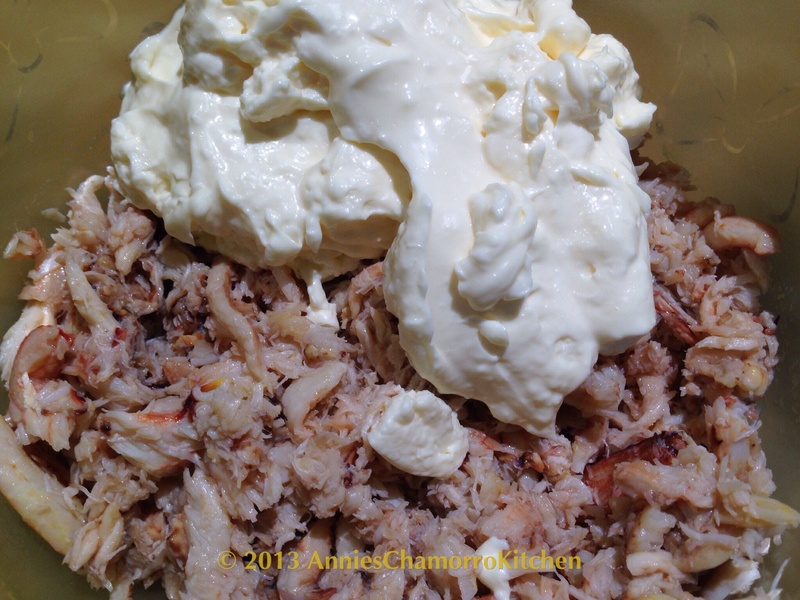 Yes, I know real crab meat is pricey, but it’s worth it. Trust me! While imitation crab meat will do when you make sushi, you’ll do these stuffed mushrooms a great injustice if you don’t use the real thing. 1. 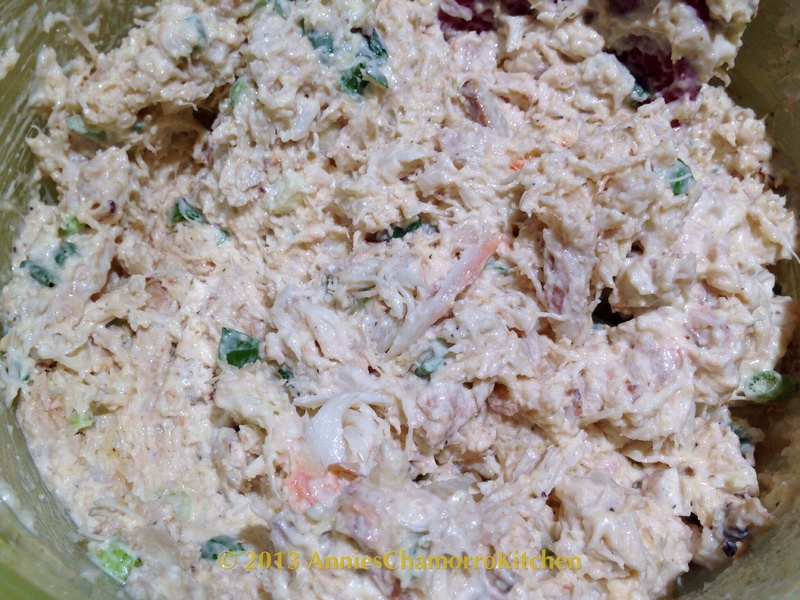 Place the crab meat in a small mixing bowl. 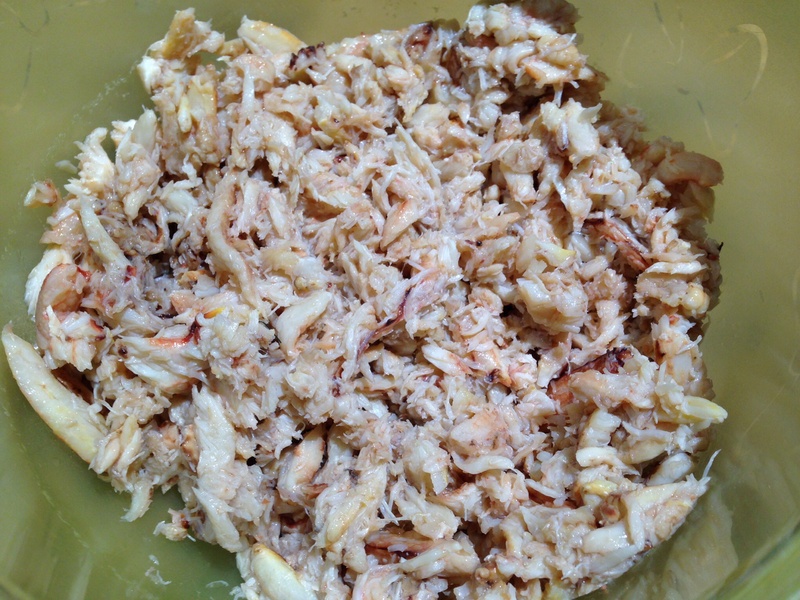 Pick out any stray crab shells. 3. Stir to combine all the ingredients. At this stage, this is FANTASTIC as-is, as a dip or spread for crackers. If you want to use it as a dip, place it into a microwave-safe bowl and heat it for about 90 seconds to 2 minutes, or just long enough to warm it and to get some of the cheese to melt. 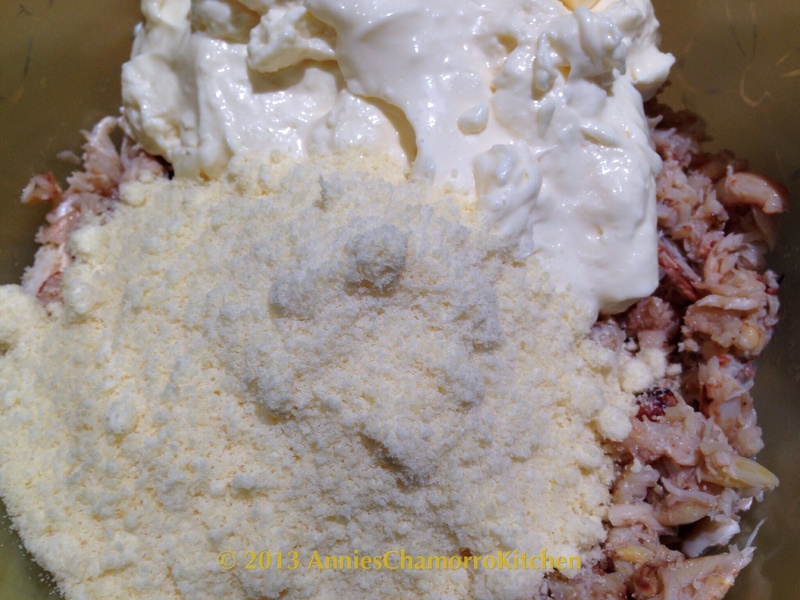 Don’t microwave it too long or the mayo will break down and your mixture will be very oily. 4. Pull off the stems of each mushroom. 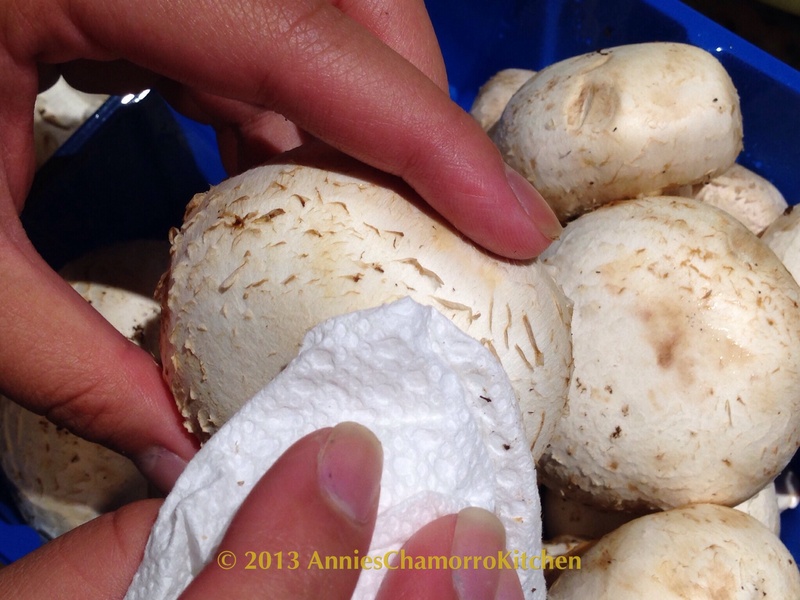 If the mushrooms are dirty, wipe them GENTLY with a paper towel. DO NOT rinse the mushrooms in water–the mushrooms will soak up the water and become almost slimy (yuck!). Trust me–a paper towel is all you need to clean these babies. 5. 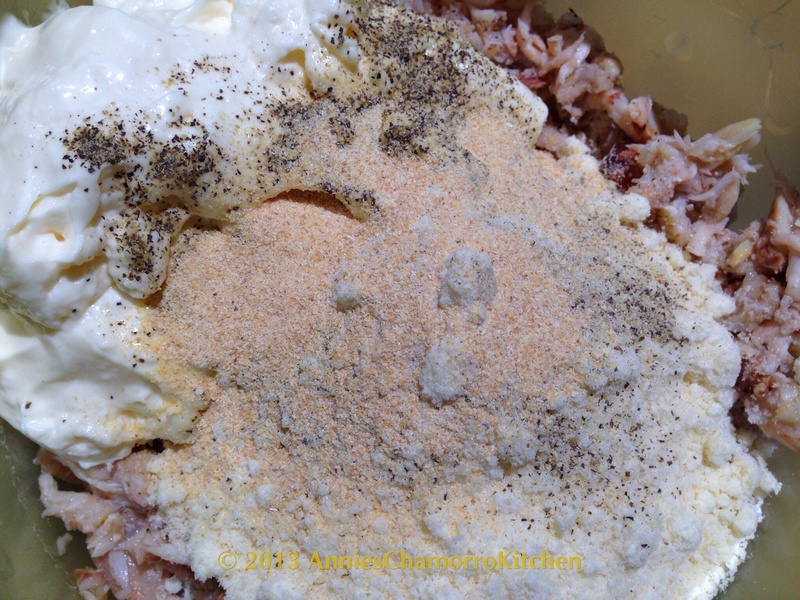 Stuff each mushroom cap with the crab mixture. It’s okay to be generous. 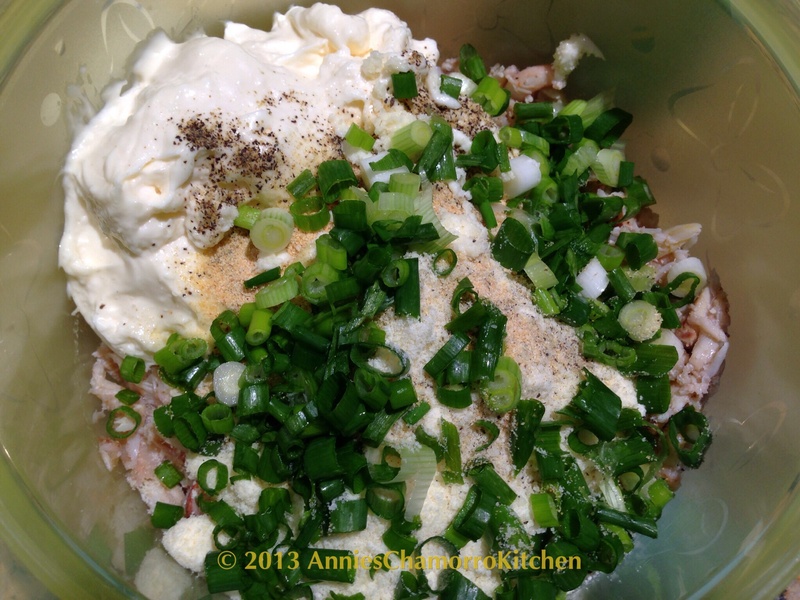 You’ll have more than enough filling even if you overstuff the mushrooms. This photo is just for comparison sake. We bought rather large mushrooms at COSTCO. 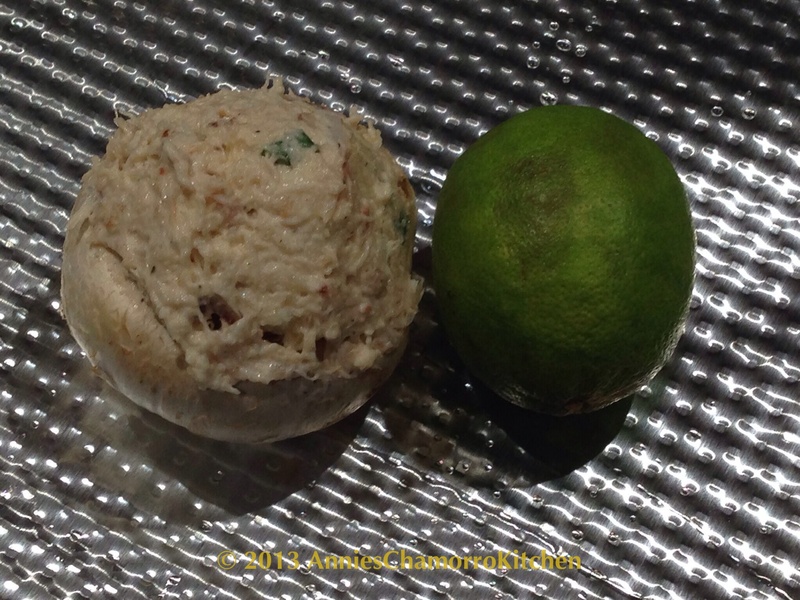 This shows one of the smaller mushrooms…it’s larger than a lime! 6. 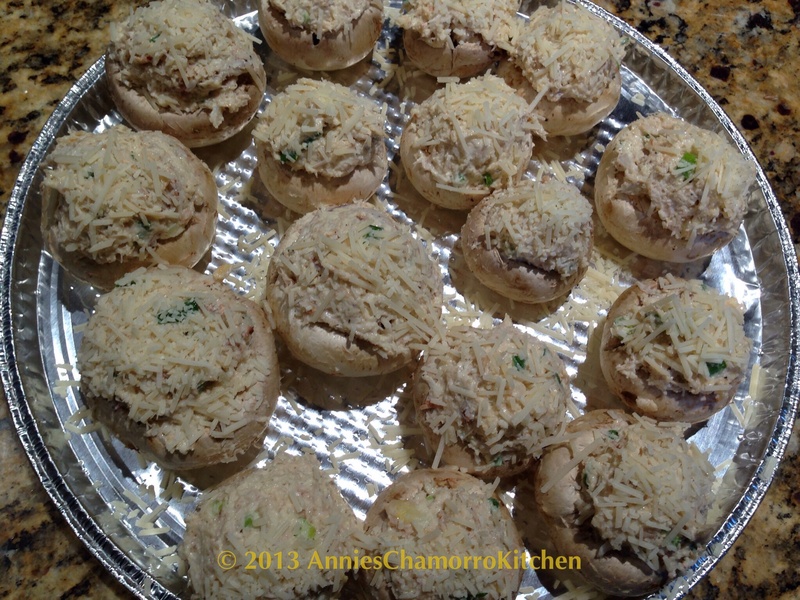 Place each stuffed mushroom onto a baking pan. 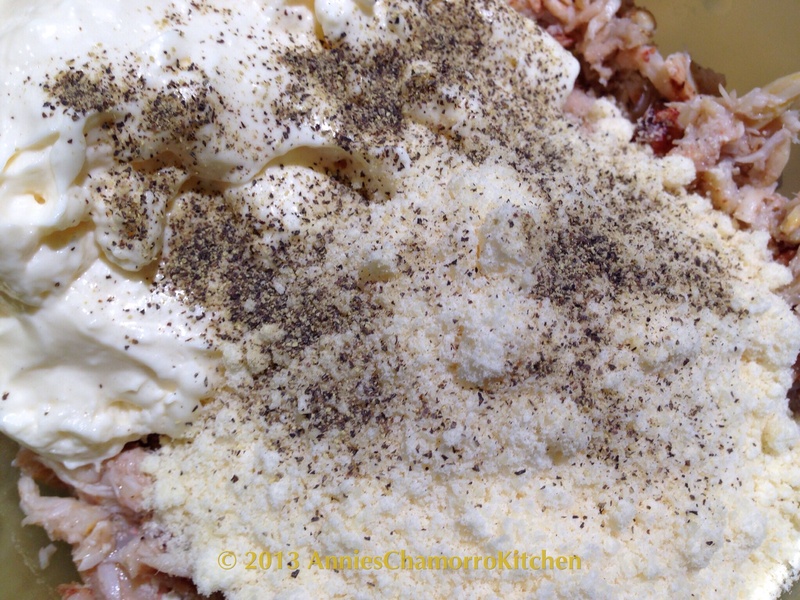 Top each mushroom with more grated Parmesan cheese. 7. Bake at 350 degrees for 20 minutes (for smaller mushrooms) and up to 30 minutes for the larger mushrooms. These were rather large mushrooms, so 30 minutes was about right. 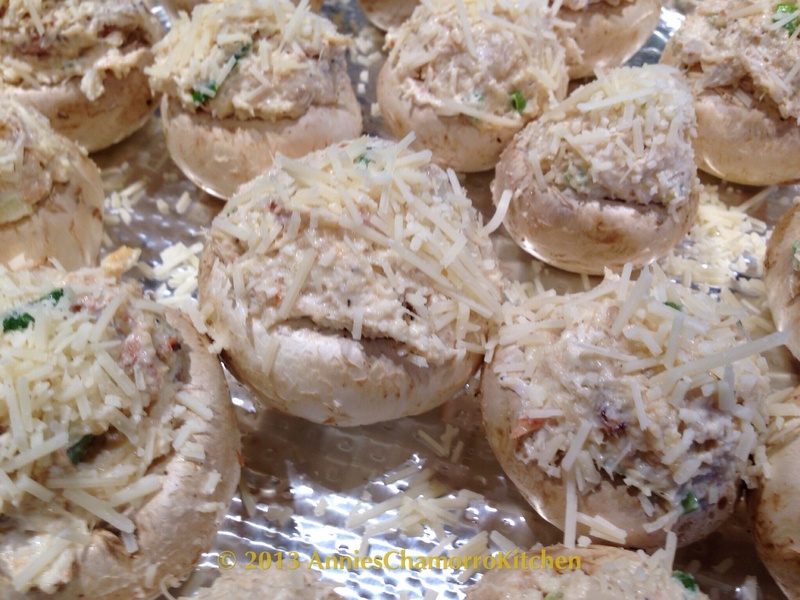 Bake until the cheese and mushrooms are nicely browned. Note: There is NO NEED to add a drizzle of butter over the mushrooms prior to baking. The mushrooms brown up quite nicely on their own without the added fat. AND I’m sure you DO NOT want these beauties to swim in a pool of melted fat, do you? No, no you don’t. The liquid you see in the pan is the natural water from the mushrooms. After you take the tray out of the oven, remove the mushrooms to a serving dish so they don’t sit in this liquid.